The name of U.S. Pacific Command has changed, but the mission of U.S. Indo-Pacific Command will remain the same, command officials said at the change of command here today. Defense Secretary James N. Mattis announced the name change during his remarks at the ceremony. With Navy Adm. Harry B. Harris Jr. handing over the reins to Navy Adm. Philip S. Davidson, the command has changed its name, but both men stressed the command will continue the mission of security and stability in the region from the coast of Africa to the coast of California and all points between. Hawaii truly was the crossroads of the Pacific today, as representatives from Australia, the United Kingdom, Japan, India, New Zealand, Canada, the Philippines, Thailand, Indonesia, Vietnam, Brunei, and Nepal attended the change-of-command ceremony on the water in Pearl Harbor. In the background were the USS Arizona Memorial and the USS Missouri, signifying the alpha and omega of America’s commitment to the region during World War II. Since the end of that war, Pacom has been instrumental in maintaining security and promoting peace in the Indo-Pacific region. Upon assuming command, Davidson stressed that for more than 70 years, the Indo-Pacific region has been largely peaceful. “This was made possible by two things: the commitment of free nations to the free and open international order, and underwritten by the credibility of the combat power within U.S. Pacific Command,” he said. China and Russia must remain the priority, he said, but other actors – North Korea, violent extremism, and Iran – must be considered. “China continues to improve both the size and the capability of its armed forces in hopes to supplant the U.S. as the security partner of choice, not just in the Indo-Pacific region, but across the globe and on its own terms,” the admiral said. He noted that Russia continues to modernize its military in all domains and seeks explicitly to undermine the international order and U.S. security guarantees. Indo-Pacific Command must continue to work with allies and partners throughout the region, Davidson said, and it must deliver the readiness necessary to ensure the freedom of the seas and skies while producing a more lethal, integrated and interoperable combat force. The command also must be poised and ready to defeat any adversary should deterrence fail, he said. 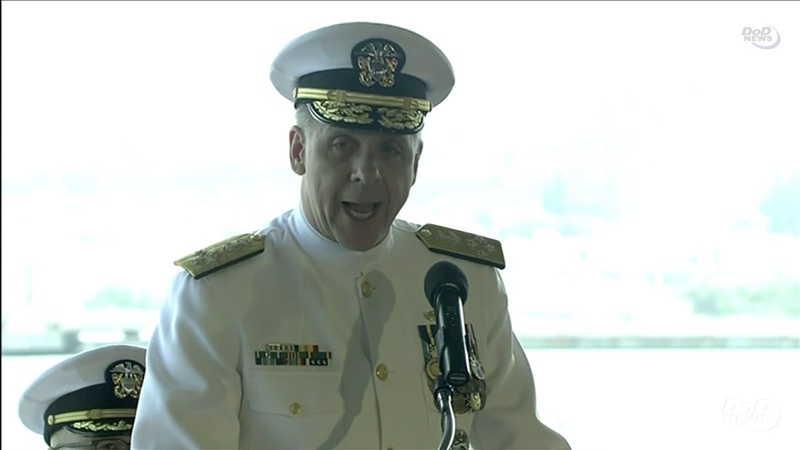 Harris had served as the Pacom commander since 2015, moving into the position after his service as the commander U.S. Pacific Fleet. 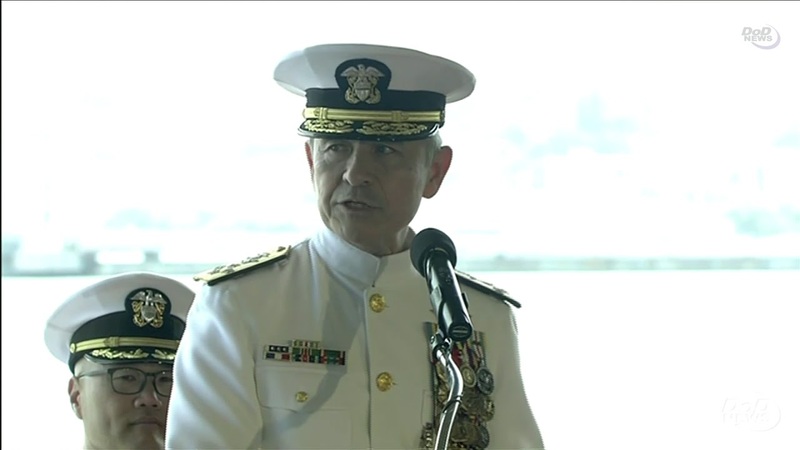 He has been nominated to serve as the U.S. ambassador to South Korea and is retiring from the Navy after a 40-year career. He used the bully pulpit of the change–of-command ceremony to warn of the challenges in the region. The Islamic State of Iraq and Syria and groups like it are in the Indo-Pacific region, the admiral warned, and the terror attacks in the Philippines last year were a wake-up call for defense and security leaders across the region. Russia also has a presence in the region, and “Moscow remains the spoiler in the Indo-Pacific today,” Harris said. It is clear, Harris said, that a competition between free and repressive orders is taking place in the Indo-Pacific region. “Sustaining favorable balances of power will require strong commitment and close cooperation with our allies and partners to defend freedom, deter war and maintain the rules-based order that underwrites a free and open international society,” he said.